You can set your Electric Object display to automatically turn off and back on. 4. 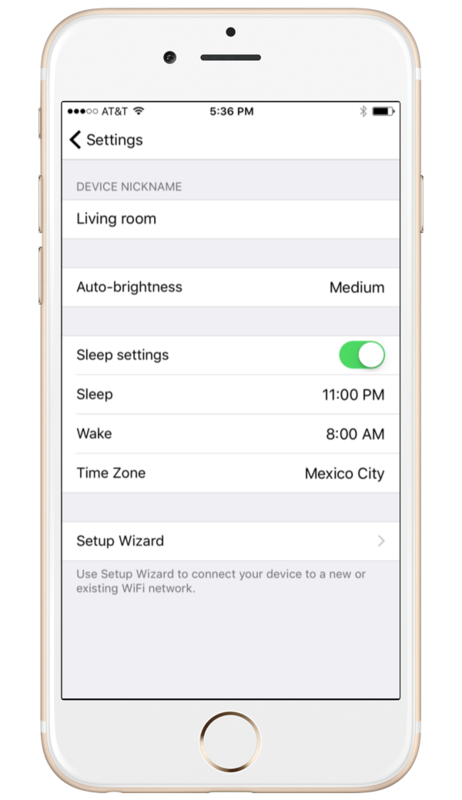 Click on "Sleep" and set the time you'd like for your screen to turn off. Click OK.
5. Click on "Wake" and set the time you'd like for your screen to turn back on. Click OK.
6. Click on "Time Zone" to set the appropriate time zone. Navigate to Login on our website or Home if you're already logged in. Once you're logged in, click on Profile in the upper right of your browser. Set your Sleep and Wake times, and you're good to go!